I've been blogging for almost seven years now and in that time I've learned a few things. My focus has changed slightly and my audience has grown. There are things that I wrote way back in the beginning that are best not looked at closely now. Some people advise going back and cleaning up old posts so that they meet current standards. I prefer to think of them as part of my blog's time capsule. I'm not ashamed of posts I wrote way back when. On the other hand, I would not necessarily promote them in order to get a new set of eyes on them. Some blog posts (mine or otherwise) have a short shelf-life. Posts about giveaways (especially monetary giveaways with no product review attached) are like that. Not that I'm qualified to write one, but a post about fashion is relevant for a much shorter amount of time than others might be. Certain posts, by their nature, are time-sensitive. They serve a purpose for a certain time and then their usefulness drops off. There is nothing wrong with those kinds of posts. A political post, pointing out the pros and cons of a certain candidate is highly applicable--during that election year. That's the kind of post that lots of people should read! After the election, however, its relevance dwindles. There are some posts, however, that have real staying power. Posts that you could read tomorrow, next week, next month, or even next year and still glean pertinent information from. 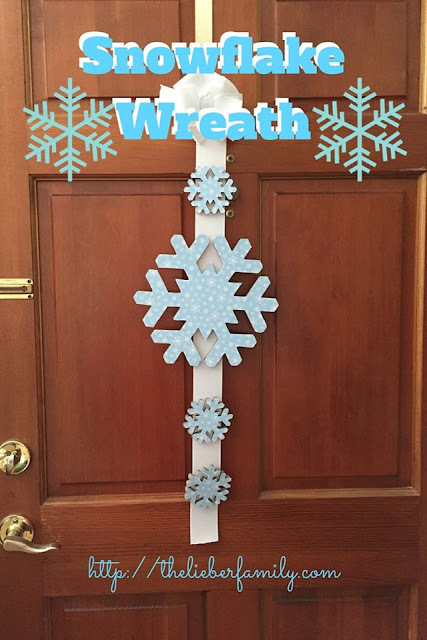 These posts are considered evergreen because, like an evergreen tree, they stay alive all year round. I've written posts that would be considered evergreen. I get hits on them out of the blue when someone does a Google search or finds a pin on Pinterest referencing that page. There are certain times of the year that I can expect older posts to start popping up in my analytics again. And up until recently, I have been pretty passive about this whole process. However, I believe that there is a way to be much more purposeful about promoting evergreen content so that things I've written in the past can come back out of the archives and dance in the light again! It just takes some organization. Not everything you write needs to be evergreen. It's perfectly fine to write a piece on fashion, politics, celebrity news, etc. Lots of people read those kinds of posts. They can bring in great traffic and if you have a steady source of new information then you should have regular readers coming back all the time. Depending on a number of factors including your blogging platform and your personality, you'll need to find a way to organize these posts so that you can find them quickly when you need them. You can use tags or labels embedded in your post to help you, as well as a spreadsheet or notebook with tabs. Think about how your reader would use the information you have: Is its relevance related to a certain month? A certain holiday? A certain news-worthy event? Once you've got your posts organized, you need to remember to use them. When you plan out your blogging calendar for the month, take some time to look back at other things you've written that are still relevant for this time period. You can refer to them in new posts, but you can also call attention to them individually. In October, you can begin to promote your posts about Halloween, fall-themed recipes, or breast cancer awareness. The first cold, rainy day of October is a good time to Tweet out a link to your "rainy-day activities" post. Even if you write the post with spring thunderstorms in mind, it can still be relevant in the fall. I wrote a post called DIY Sugar Scrub in May close to Mother's Day, but it works equally well for a Christmas gift or an end of the year teacher gift. Think outside the box with how useful your archives can be! Lots of handmade Christmas gifts work just as well at Mother's Day, Father's Day or the end of the school year. Some of your readers may have been around since the very beginning, but you are also gaining new readers all the time, as well as new followers on various social media platforms. Plus, with the way Facebook presents information to readers, there's a good chance that many of your followers will not have read a specific post from last year. Go ahead and re-pin it, share it on Twitter or Facebook and bring in a new audience for a seasoned post! What are your strategies for bring new life to old posts? Do you have good luck with highlighting blasts from the past? I keep saying I will get around to doing this but time runs away from me. I do have some that belong in the evergreen category I just need to get into gear and organize those. Thanks for the reminder Rabia! These are really great. I struggle with even going back to my blog to FIND the evergreen posts. I need to do a better job of going back to some of my first posts and finding those that need new categories! I am nowhere near perfect at this, but I'm trying to get better with it. I hope writing about it will get me more motivated too. I randomly remember certain ones at different times, but then it takes me forever to find it and by then I've wasted a bunch of time. I'm hoping that organizing them better will mean I can use them more often. Thanks for stopping by Pam! I think it's such a shame to write something and have it only shine for a day or two. There's no reason you can't get more mileage out of a post than that! My oldest posts are horribly organized! I had no idea what I was doing back then!! I try to fix things as I come across them, but to do it right would be a full time job! I hope it get it right going forward. Thank you. I need to do this as well. I do have evergreen content, but can definitely work on organizing and categorizing them. Pinned! This is great! I always forget about older posts or spend lots of time searching for them! I need to do a better job of organizing everything! I do a lot of this. Most of my posts are evergreen type posts and like you, I've been blogging for 7 years so I have hundreds of them. I've learned a lot about blogging since then plus many were pre-Pinterest and don't have nice images, so I've been slowly going through and spiffing them up and re-releasing them. It does create some odd gaps in my archives, but I was told for SEO reasons to edit the old post rather than create a new one. One tip - I just switched from Blogger to WP and in Blogger, it does not re-release posts on your Feedburner feed even if you draft them and republish them. But in WP it does. I subscribe to my one feed for just that reason - so I can see exactly what my readers see. I have been struggling with the best way to handle this very thing. Thanks for these tips! I still need to do a better job myself, but I've got a framework I can work with now. It's an ongoing process, but you have to start somewhere! That's a great idea! I subscribe to my own feed so I can see what it looks like and to make sure it's getting delivered. I have a lot of old posts I need to go through and revamp! Thanks, Jamie! I'm glad you stopped by! You can't use 'em if you can't find 'em, right!?! Thanks for stopping by! I just put this on my to-do list. 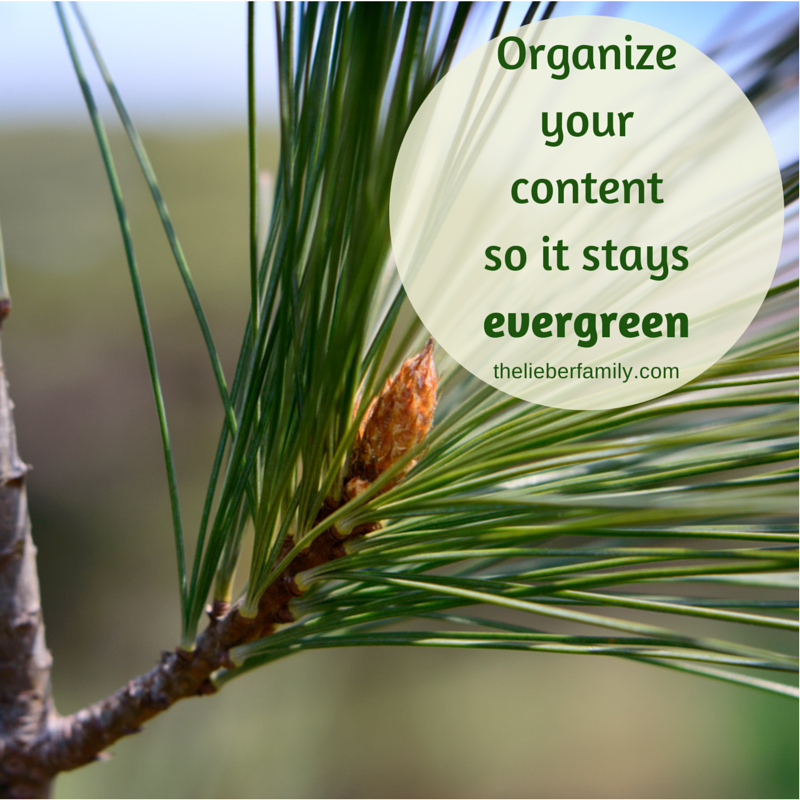 I never thought about organizing evergreen content, but it would be much more effective than just skimming through old posts when it occurs to me to do so. Thanks Rabia! Skimming old posts on a random basis used to be my MO. Now I'm trying to be more organized about it. You'll do great; it's just like making a list!